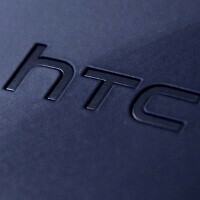 The HTC M7 is expected to make a splash with an official debut on February 18th, but HTC has got two more eggs in its basket - the HTC M4 and HTC G2. The two more affordable devices might not get an official unveiling on February 18th, but they will likely be part of HTC’s Spring lineup, according to EVLeaks. Before we give you the details on the upcoming HTC M4 and HTC G2, though, we’d have to mention that the same source also confirms that the flagship M7 is expected to arrive on shelves shortly after its official announcement. Now, the M4 and G2 fill the mid and low-end segments. We’re particularly enamored with the HTC M4, a 4.3-inch 720p device with a dual-core Snapdragon and 2 gigs of RAM, a potent combination and something to please those wishing for a slightly smaller device. It’s all still a rumor, so let’s stay tuned for official news on this at MWC. G2 ...wasnt that the first Android phone? No. The first Android phone was the G1, but there is a G2. The HTC Desire Z was released as the T-Mobile G2 in the United States. Even though HTC made it, it's name was the T-Mobile G2, not HTC G2. It still might cause some confusion if that's the final name for it though. Your thinking of the HTC G1. The HTC G2 (or Desire Z) was it's successor. I don't think HTC would release two phones with the same exact name which leads me to believe that these are code names. Hopefully all these phone will make up the next generation of the One series instead of once again creating yet another set of names. G2 and all is good mate but would you look at the camera on the mid-ranger M4...13MP??!!! since when does a 13 mp camera come on a mid-ranger? Since there is the existence of crappy lenses and software. 13 MP doesn't mean it's automatically good. Yikes, the M4's battery is going to be terrible. 1700 mAh? You know better HTC haven't you learned from the very similar One X? Sure, if you look just at the numbers. You have to factor in the power saving changes between the M4 and the One X; Smaller screen Lower clocked CPU Sense 5.0 that will bring much needed battery improvements That should equal much better battery life than the One X. We all know that's not true . IPhone 5 is a high end device with high end specs . The specs of the g2 is close to the iPhone 4 and the iPhone 4 does not cost 700 dollars . do you know mean of NEARLY ? How bout the M4? :) BOTH the iPhone 4S and M4 have the same speed... woops.. M4 is 200mhz faster, and both are dual cores. :) problem? g2 is a single core. IPhone 5 is a dual core with much higher GPU. Comparing many of the HTC devices to an iPhone 5 is just wrong. I loved my Tmobile G2. What is sad it had 512MB ram, 5mP, 8gbn and single core 800 MHz snap dragon under clock for battery preformance. Me too , I love my galaxy s2 after I root it and flash it with cyanogen mod 10 . Not going back to the iPhone 4S . G2 is basically a f**ked up One V .
4G and 1700mAh battery - there's always something HTC blows. Yeah, I don't know what's up with HTC and battery capacity. It's pretty important that the phone actually be on if your going to use it and all. I would love to see them go all out with a huge battery soon. I think that might be more than enough on these phones... The dual core HTC Sensation only had 1500mah. With the current CPU chip technology, 1700mah should be good enough for the M4. The only part I think is stupid is the internal memory. They should up it to at least 32GB. M4 sounds decent...except for the battery. But G2 should atleast have 1GB RAM...too bad. Don't get too disappointed with the battery, Sense 5.0 might have some battery improvements within it. Plus, HTC devices usually have pretty outstanding standby time, and that kind of makes up for the sub par on screen time. Maybe, as i see that sense 5 has reduced visual appeal, replaced by a subtle looking UI. This might actually help, yes. Their battery improvements is to auto end background thread making apps the depend on it incompatible. When the problem is feedback to them HTC claim that its sense's feature. I wouldn't call the m4 'mid-range'. I mean its specs are better than that of the iphone 5 lol.